Small dimensions and weight (about 1,5 kg with battery). Two or three wavelength for testing— 1310/1550 nm and 1310/1550/1625 nm. The new reflectometer incorporated all the best features of previous models: availability for service in field conditions, speed and accuracy of measurement, easy operation and high level of comfort for any user. 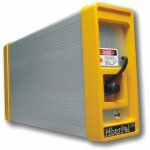 Wide range of inline options eliminates the need for carrying a lot of extra equipment. 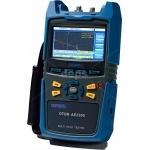 Portable and functional OTDR AE2300 has a compact housing. Is ideal for the construction and operation of optical networks, both from the optical cross and under field trials. Improved device characteristics make it possible to measure the line parameters more accurately and with higher resolution, from the three-meter optical cable to the trunk lines more than two hundred meters long. Due to the modular design, not only optical units can be replaced. 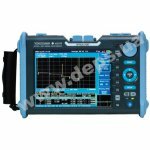 New OTDR-reflectometer Yokogawa AQ7270 proves than perfection has no boundaries! 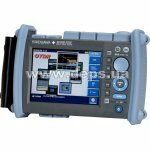 It has practically all the advantages of the previous model (Yokogawa AQ7260), but even more compact, lightweight and quick in use. AQ7270 is characterized by a record-breaking small dead zone of detection as of today – 0.8 meter. Within a few seconds the reflectometer is switched on and operation can be started, and the inline function of high-speed automatic testing enables the first simplified test to be carried out by pushing just one button. 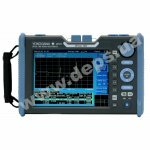 OTDR-reflectometer Yokogawa AQ7270 is designed to facilitate work under conditions of lack of time and free space, when density of information system and price for idle time are very high. OTDR reflectometer FiberPal™ Mini OT-8810 is the latest Radiantech project that combines the new ergonomic design, time-tested software, and advanced technical features. Miniature device weighing 2.5 kg is equipped with a 7-inch touch screen of high resolution. 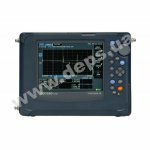 The dynamic range of up to 38 dB and high sampling density makes the instrument applicable both at trunk lines, and for testing of local optical networks (FTTx, CATV, optical LAN, etc.) Rechargeable Li-ion battery provides device autonomy for 3 hours, and a rugged, watertight housing protects it against all environmental effects and accidental damage. 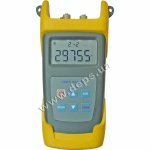 MT3304N Fiber Ranger (optical line fault detector) is designed to define the optical line integrity and distance to the fault place. 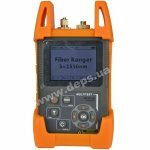 MULTITEST MT3314N Fiber Ranger(optical line fault detector) is designed to define the optical line integrity and to define distance to the line fault up to 100 km. Reflectometer FiberPal™ UFO 320 OTDR* of Radiantech Company is a compact and cost-effective device for optical measurements, designed as a plug-and-play peripheral USB device. The whole process of measurement, data collection and processing, and display of the results in a standardized form is controlled from a PC or laptop, to which the device is connected through a USB-port. 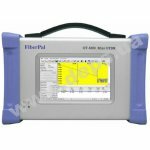 In conjunction with a laptop, FiberPal ™ UFO 320 is the optimal solution for testing and certification of measurements when laying fiber optic lines and carrying out repair works. Deviser AE3000L - portable platform for the diagnosis and localization of damages in any optical cable lines. AE3000 is fully consistent with any requirements of the tests and is indispensable during the construction and maintenance of fiber optic network. Optical reflectometer with timing of reflection delay (Оptical Time-domain Reflectometer) is an indispensable tool for installation, certification and repair operations.